Now ask yourself, “is the therapeutic use of essential oils considered serious medicine by the scientific community?” Glance through the following studies if you are still uncertain. Abraham C, Amoros M, Girre L. 1983. Etude de l’activité antifongique des plantes supérierures: action de 39 plantes indigènes sur 4 champignons phytopathogènes. Ann. Pharm. franç. Al-Bayati FA. 2008. Synergistic antibacterial activity between Thymus vulgaris and Pimpinella anisum essential oils and methanol extracts.J Ethnopharmacol;116(3):403-6. Epub. Al-Hader A, Hasan Z. 1994. Hyperglycemic and insulin release inhibitory erects of Rosmarinus officinalis. Journal of Ethnopharmacology. 43(3) 217-211. Allegrini J, Simeon de Buochberg M. 1972. Une technique d’étude du pouvoir antibactérien des huiles essentielles. Labotatoire de microbiologe. Faculté de Montpellier. Anderson C, Lis-Balchin M, Kirk-Smith M. 2000. Evaluation of massage with essential oils on childhood atopic eczema. Phytotherapy Research. 14(6) 452-456. Ansari M, Razdan R. 1995. Relative efficacy of various oils in repelling mosquitos. Indian Journal of Malariology. 32:104-111. Armaka M, Papanikolaou E, Sivropoulou A, et al. 1999. Antiviral properties of volatile oils. Journal of Applied Microbiology. 88(2) 308-316. Arnal-Schnebelen B, 1998. Fighting Gynecological Infection with Aromatherapy. Int. Symp. Integrated Arom. Med. Franchomme P, ed. 7-12. Arnal-Schnebelen B, 2000. Statistical Analysis of Essential Oils in Gynecological Infectious Treatments: Using Aromatograms. Int. Symp. Integrated Arom. Med. Franchomme P, ed. 27-36. Arrien, Winter, 1958. The significance of volatile oils for the treatment of urinary passage infections. Planta médica G.B. Arzi A, et al. 2010. The influence of odorants on respiratory patterns in sleep. Chem Senses. 35(1):31-40. Balacs T, 1993. Antimicrobial Lamiaceae. In Research Reports, International Journal of Aromatherapy. 5(4) 34. Bardeau F, 1976. The use of essential oils to purify and deodorize the air. Chirugien-Dentiste de France (Paris). 46(319) 53. Bassett IB, et al. 1990. A comparative study of tea-tree oil versus binzoylperoxide in the treatment of acne. Med J Aust. 153(8) 455-8. Bassolé IH, Juliani HR. 2012. Essential oils in combination and their antimicrobial properties. Molecules. 17(4):3989-4006. Review. Bath-Hextall FJ, et al. 2012. Dietary supplements for established atopic eczema.Cochrane Database Syst Rev.;2:CD005205. Belaiche P, 1976. Bronchites chroniques. Compte rendu du 1er Congrès International de Phytothérapie et d’Aromathérapie, Paris. Belaiche P, 1976. Infections de la sphère genitor-urinaire, in compte rendu du 1er Congrès International de Phytothérapie et d’Aromathérapie, Paris. Belaiche P, 1977. Bronchites chroniques. Compte rendu du 2e Congrès International de Phytothérapie et d’Aromathérapie, Monaco. Belaiche P, 1985a. Treatment of skin infections with essential oils of Melaleuca alternifolia. Phytotherapy. 15:15-17. Benencia F, Courreges M, 2000. In vitro and in vivo activity of eugenol on human herpes virus. Phytotherapy Research. 14:495-500. Benko S, Macher A, Effect of essential oils on atherosclerosis of cholesterol fed rabbits. Nature, G. B.
Benouda A, Hassar M, Benjilali B, 1988. Antimicrobial activity of clove oil. Journal of Applied Bacteriology. 66(1) 69-75. Bentley R, 1874. Rôle de l’eucalyptus dans la bronchite et l‘asthme. Yearbook Pharm., 24, 19. Bezanger-Beauquesne L, Andrieu S, Zad B, 1977. Sensibilté des champignons pathogènes aux antifongiques d’origine végétale. Les huiles essentielles. Bulletin de société de pharmacie de Lille. Bonnaure F, 1919. Essai sur les propriétés bactericides de quelques huiles essentielles. Thèse Lyon. Boonchird D, Flegel T, 1982. In vitro activity of eugenol and vanillin against Candida albicans and Cryptococcus neoformans. Canadian Journal of Microbiology.28(11) 1235-1241. Boses SM, Bhima Rac. Cn, Subramanyan V, 1949. Relation between chemical constitution and constituents of certain essential oils and their bactericidal properties. J. Sci. Ind. Research (India) 8B, 157-162. Botelho MA, et al. 2007/ Antimicrobial activity of the essential oil from Lippia sidoides, carvacrol and thymol against oral pathogens.Braz J Med Biol Res; 40(3):349-56. Boyd E, Sheppard E, 1968. The effect of steam inhalation of volatile oils on the output and composition of respiratory tract fluid. Journal of Pharmacology and Expermental Therapeutics. 163(4) 250-256. Bradshaw R, Marchant J, Meredith M, et al. 1998. Effects of lavender straw on stress and travel sickness in pigs. Journal of Alternative & Complementary Medicine. 4(3) 271-275. Brun G, 1952. Les huiles essentielles en tant qu’agent de pénétration tissulaire. Thèse Pharmacie Strasbourg. Buchbauer G, Jirovetz L, Jager W, 1991. Aromatherapy: Evidence for sedative effects of the essential oil of lavender after inhalation. Zeitschrift fur Naturforschung 46(11-12) 1067-1072. Buck D, Nidorf D, Addino J, 1994. Comparison of two topical preparations for the treatment of onychomycosis: Melaleuca alternifolia (teatree) oil and clotrimazole. Journal of Family Practice. 38(6) 601-605. Buckle J, 1999. Use of aromatherapy as a complementary therapy of chronic pain. Alternative Therapies in Health & Medicine. 5(5) 42-51. Burfield T, 2000. Safety of essential oils. International Journal of Aromatherapy. 10(1/2) 16-29. Cabo J, Crespo M, Jimenez J, et al. 1986. The spasmolytic activity of various aromatic plants from the province of Grananda. The activity of major components of their essential oils. Plantes Medicinales et Phytotherapie. 20(3) 213-218. Cade AR, 1957. Essential oils, antiseptics, disinfectants, fungicides, and chemical and physical sterilization, Reddish C.F. éd. Philadelphia. Caelli M, Porteous J, Carson C, et al. 2001. Tea tree oil as an alternative topical decolonization for methicillin-resistant Staphylococcus aureus. Journal of Hospital Infection. 46(3) 236-237. Capua M, 1974. Consideration on the phototoxicity of bergamot oil. Essenze derive, agrum. Ital. Camarda L, et al. 2007. Chemical composition and antimicrobial activity of some oleogum resin essential oils from Boswellia spp. (Burseraceae).Ann Chim.;97(9):837-44. Carson C, Cookson B, Farrelly H, et al. 1995. Susceptibility of methicillin-resistant Staphylococcus aureus to the essential oil of Melaleuca alternifolia. Journal of Antimicrobial Chemotherapy. 35(3) 421-424. Carson C, Riley T, 1993. Antimicrobial activity of essential oil of Melaleuca alternifolia. Letters in Applied Microbiology. 16:49-55. Carson F, et al. 1995. Antimicrobial activity of the major components of the essential oil of Melaleuca alternifolia. J Appl Bacteriol. 78(3) 264-269. Casey M, 2002. Aromatherapy: Pain management. Aromatherapy Today. 21:26-29. Caujolle F, 1942. Hysope: vasolilatation accélération du rythme repiatore, lavande, lavandin: hypotension, diminution de l’amplitude. Soc. Med. Chirurgie Pharm., Toulouse. Cecchini C, et al. 2012. Antimicrobial efficacy of Achillea ligustica All. (Asteraceae) essential oils against reference and isolated oral microorganisms.Chem Biodivers; 9(1):12-24. doi: 10.1002/cbdv.201100249. Ceschin C, 1985. Composés perfluorés. Microémulsification. Utilisation pour la croissance des bactéries anaérobies. Thése de doctorat nouveau régime, UPSP Toulouse. Chalcat J, 1998. Antimicrobial activity of softwood essential oils. Int. Symp. Integrated Arom. Med. Franchomme P, ed. 23-26. Chan C, Loudon K, 1998. Activity of tea tree oil on methicillin-resistant Staphylococcus aureus (MRSA). Journal of Hospital Infection. 39(3) 244-245. Chanus H, 2000. Essential Oils and Hospital Germs. Proceedings from the International Symposium of Integrated Aromatic Medicine. Franchomme P, ed. 5-7. Charabot. Les huiles essentielles. Encyclopédie scientifique éd. Charron J, 1997. Use of Lavandula latifolia as an expectorant. Journal of Alternative & Complementary Medicine. 3(3) 211. Chaumont J-P, 2000. Inventory of Fungi Colonizing Humans: Treatment Options. Int. Symp. Integrated Arom. Med. Franchomme P, ed. 17-19. Chaumont JP, Jolivet J, 1978. Recherche de substances antifongiques d’origine végétale: action de 100 extraits de plantes des Alpes françaises sur sept champignons phytopathogénes. Phytiatrie-Phytopharmacie. Chaumont JP, 1985. Plantes antifongiques. Phytothérapy. Chesne C, 2001. Antineo-angiogenesis and terpenoids, a path of research in the treatment of rheumatoid arthritis and psoriasis. Int. Symp. Integrated Arom. Med. Franchomme P, ed. 151-152. Chesne C, Amoros M, Girre L, 1984. Etude de l’activité antifongique de plantes supérieures. Action de 49 plantes indigenes sur 11 champignons phytopathogénes. Ann. Pharm. franç. Chung MJ, et al. 2010. Anti-diabetic effects of lemon balm (Melissa officinalis) essential oil on glucose- and lipid-regulating enzymes in type 2 diabetic mice.Br J Nutr. 104(2):180-8. Concha JM, et al. 1998. William J. Stickel Bronze Award. Antifungal activity of Melaleuca alternifolia (tea-tree oil) against various pathogenic organisms. J Am Podiatr Med Assoc. 88(10) 489-492. Cornillot P, 2000. The Place of Aromatherapy in Today’s Therapeutic Arsenal. Int. Symp. Integrated Arom. Med. Franchomme P, ed. 21-26. Cornwell S, et al. 1995. Lavender oil and perineal repair. Mod Midwife 5(3) 31-33. Cox et al. 2000 Jan. The mode of antimicrobial action of the essential oil of Melaleuca alternifolia (tea tree oil). J Appl Microbiol. 88(1) 170-175. Dakhil MA, Morsy TA, 1999. The larvicidal activities of the peel oils of three citrus fruits against Culex pipiens. J Egypt Soc Parasitol. 29(2) 347-352. Dalvi et al. 1991 Jul. Effect of peppermint oil on gastric emptying in man: a preliminary study using a radiolagelled solid test meal. Indian J Physiol Pharmacol. 35(3) 212-214. Daudet-Vedis J, 2000. Candidiases in Women. Int. Symp. Integrated Arom. Med. Franchomme P, ed. 37-40. Davenne D, 2001. Study of the photoprotective activity of essential oils on human keratinocytes. Int. Symp. Integrated Arom. Med. Franchomme P, ed. 163-165. Dean S, Ritchie G, 1987. Antibacterial properties of plant essential oils. International Journal of Food Microbiology. 5:165-180. Debelmas A, 1953. Contribution à l’étude du pouvoir anthelmintique des huiles essentielles et de certains de leurs constituents. Thèse Pharm. Paris. Dehaut, 1945. Pouvoir antibactérien du thymol, du carvacrol et de quelques derives. Thèse Pharmacie, Toulouse. Delaveau P, et al. 1989. Neuro-depressive properties of essential oil of lavender. C R Seances Soc Biol Fil. 183(4) 342-348. Delioux de Savignac, 1988. L’essence dementhe et ses proptiétés analgésiantes. Bull. Mem. Soc. Ther., 1875, 1er s., 4, 41-57. De Martino L, De Feo V, Nazzaro F.2009. Chemical composition and in vitro antimicrobial and mutagenic activities of seven Lamiaceae essential oils.Molecules. 2009 Oct 20;14(10):4213-30. Diego MA, et al. 1998. Dec. Aromatherapy positively affects mood, EEG patterns of alertness and math computations. Int J Neurosci. 96(3-4) 217-224. Dikshit A, Husain A, 1984. Antifungal Action of Some Essential Oils Against Animal Pathogens. Fitoterapia. Dolara P, Corte B, Ghelardini C, et al. 2000. Local anesthetic, antibacterial and antifungal properties of sesquiterpenes from myrrh. Planta Medica. 66(4) 356-358. Dolara P, et al. 1996 Jan 4. Analgesic effects of myrrh. Nature. 379(6560) 29. Dorman H, Dean S, 2000. Antimicrobial agents from plants: Antibacterial of plant isoborneol, a potent inhibitor of herpes simplex virus type 1. Antiviral Research. 43(2) 79-92. Dube S, Upadihay P, Tripathi S, 1989. Antifungal, physiochemical and insect-repelling activity of the essential oil of Ocimum basilicum. Canadian Journal of Botany. 67(7) 2085-2087. Duwenuis P, 1968. Utilization des huiles essentielles en pharmacie, leur normalization et l’europe du medicament. Parfums, cosmet. savons. Duwiejua M, Zeitlin I, Waterman P, et al. 1992. Anti-inflammatory activity of resins from some species of the plant family Burseraceae. Planta Medica. 59(1) 12-16. El Keltawi NEM, Megalla SE, Ross SA, 1980. Antimicrobial Activity of Some Egyptian Aromatic Plants. Herba polonica. Elisabetsky E, de Souza G, Dos Santos M, et al. 1995. Sedative properties of linalool. Fitoterapia. 66(5) 407-415. Elisabetsky E, Marschner J, Souza D, 1995a. Effects of linalool on glutamatergic system in the rat cerebral cortex. Neurochem Res. 20(4) 461-465. Elsethager T, 2000. The use of lemongrass and tea tree for fungal infections of feet and nails. Unpublished dissertation. Hunter, NY:R J Buckle Associates. Fakim G, Sewaj M, 1992. Studies on the antisickling properties of extracts of Sideroxylon puberulum, Faujariopsis flexuosa, Cardispermum halicacabum andPelargonium graveoleus. Planta Medica. 58 (Suppl.) A648-A649. Faoagali JL, et al. 1998. Antimicrobial effects of melaleuca oil. Burns. 24(4) 383. No abstract available. Faouzia H, Fkih-Tetouani S, Tantaoui-Elaraki A, 1993. Antimicrobial activity of twenty-one Eucalyptus Essential oils. Fitoterapia. 64:1. Fauron R, 1998. Using EOs in treating specific pathologies: intestinal, bronchopulmonary, and dermatological. Int. Symp. Integrated Arom. Med. Franchomme P, ed. 37-42. Feneyriu, 1951. Contribution à l’étude du pouvoir antiseptique de certains dérivés sulfurés du phenol, du thymol et du carvacrol. Thèse Pharmacie. Toulouse. Ferley J, Poutignat N, Mirou D, 1989. Prophylactic aromatherapy for supervening infections in patients with chronic bronchitis. Statistical evaluation conducted in clinics against a placebo. Phytotherapy Research. 3(3) 97-100. Figuenick R, 1998. Essential oil of peppermint: A 3-part audit on nausea. Unpublished dissertation. R J Buckle Associates, Hunter, NY. Franchomme P, 1998. Using eubiotic and antibiotic EOs in resetting aerobic and anaerobic intestinal flora. Int. Symp. Integrated Arom. Med. Franchomme P, ed. 51-56. Franchomme P, 2000. Intestinal Parasitoses and Malnutrition and a Catalog of Antimicrobial Aromatics. Int. Symp. Integrated Arom. Med. Franchomme P, ed. 9-15. Franchomme P, Les chlamydioses, nº 2 février 1987. La grippe et Ravensara aromatica, nº 3 juin 1987. L’aromathérapie à vise anti-infectieuse, nº 4 septembre 1987 revue Epidaure. Fu Y, et al. 2007. Antimicrobial activity of clove and rosemary essential oils alone and in combination.Phytother Res. 2007 Oct;21(10):989-94. Gabrielli G, Loggini F, Cioni P, et al. 1988. Activity of labandino essential oil. Pharmacological Research Communications. 20(Suppl. V) 37-41. Galal E, Adel M, El-Sherif S, 1973. Evaluation of certain volatile oils for their antifungal properties. Journal of Drug Research. 5(2) 235-245. Garg S, Dengre S, 1988. Antifungal activity of some essential oils. Pharmacie. 43(2) 141-142. Garg SC, 1974. Antifungical activity of some essential oils. Indian J. Pharm. India. Gershbein LE, 1977. Regeneration of rat liver in the presence of essential oil. Food Cosmet. Toxicol. Ghelardini C, Galeotti N, Salvatore G, et al. 1999. Local anesthetic activity of essential oil of Lavandula angustifolia. Planta Medica. 65(8) 700-703. Girault M, Traité de phytothérapie et d’aromathérapie (P. Belaiche), tome III. Gynécologie, Maloine éd. Gobel H, Schmidt G, Soyka, D, 1991. Effect of peppermint and eucalyptus oil preparations on neurophysiological and experimental algesimetric headache parameters. Cephalalgia. 14:228-234. Goetz P, 2000. Acne Treatment Options. Int. Symp. Integrated Arom. Med. Franchomme P, ed. 53-56. Goldway G, Teff D, Schmidt R, et al. 1995. Multidrug resistance in Candida albicans: Disruption of the BEN gene. Antimicrobial Agents and Chemotherapy. 39(2) 422-426. Guba R, 2002. Beyond Aromatherapy. Center for Aromatic Medicine. NSW. Australia. Notes published by Center for Aromatic Medicine. Guerin JC, Reveillere HP, 1984. Activité antifongique d’extraits végétaux à usage thérapeutique. II. Etude de 41 extraits sur 9 sources fongiques. Ann. Pharm. franç. Guerin JC, Reveillere HP, 1985. Activité antifongique d’extraits végétaux à usage thérapeutique. II. Etude de 27 extraits sur 9 sources fongiques. Ann. Pharm. franç. Guilhon CC, et al. 2011. Characterisation of the anti-inflammatory and antinociceptive activities and the mechanism of the action of Lippia gracilis essential oil..J Ethnopharmacol. 135(2):406-13. Guillemain J, et al. 1989. Neurodepressive effects of the essential oil of Lavandula angustifolia Mill. Ann Pharm Fr. 47(6) 337-343. Hadji-Minaglou F, 1998. ADHD in children: phytoaromatherapy—an alternative to Ritalin. Int. Symp. Integrated Arom. Med. Franchomme P, ed. 57-60. Hadji-Minaglou F, 2000. Computer-assisted Infectiology Prescriptions. Int. Symp. Integrated Arom. Med. Franchomme P, ed. 41-44. Han S, Hur M, Buckle J, 2003. A randomized trial effect of aromatherapy on the menstrual cramps in college students. In press. Harris B, Harris R, 1995. Essential oils as antifungal agents. Aromatherapy Quarterly. 44:25-27. Hermann EC Jr, Kucera LS, 1967. Antiviral Substances in Plants of the Mint Family (Labiatae). Proc. Soc. Exp. Biol. Med. I + II 124, 369-374, 865-869. Herriset A, Jolivet J, Rey P, 1971. Essences de lavande officinale, de lavande aspic, de lavandins Pl. Méd. Et Phyt. 5, 1305-1314. Herriset A, Jolivet J, Rey P, 1971. Essences de menthe poivrée. Pl. Méd. Et Phyt. 5, 188-198. Herriset A, Jolivet J, Rey P, 1973. Essences de citron, d’orange douce, d’orange amère, de bergamote Pl. Méd. Et Phyt. 7. Hervieus L, 1998. Aromatherapy for HIV-positive patients. Int. Symp. Integrated Arom. Med. Franchomme P, ed. 61-62. Holmes P, 1995. Aromatherapy: applications for clinical practice. Alternative Medicine. 1(3) 177-182. Hudson R, 1996. The value of lavender for rest and activity in the elderly patient. Complementary Therapies in Medicine. 4(1) 52-57. Inouye S, Takizawa T, Yamaguchi H, 2001 May. Antibacterial activity of essential oils and their major constituents against respiratory tract pathogens by gaseous contact. J Antimicrob Chemother. 47(5) 565-573. Jacquemin M, 1998. Can chemotyped EOs relieve Benzodiazepene withdrawal? Int. Symp. Integrated Arom. Med. Franchomme P, ed. 63-76. Jandera V, Hudson S, de West P, 2000. Cooling the burn wound: evaluation of different modalities. Burns. 26(3) 265-270. Janssen AM, Scheffer JJ, Baerheim Svendsen A. 1987. Antimicrobial activities of essential oils. A 1976-1986 literature review on possible applications. Pharm Weekbl Sci. 21;9(4):193-7. Juergens UR, et al. 1998. The anti-inflammatory activity of L-menthol compared to mint oil in human monocytes in vitro: a novel perspective for its therapeutic use in inflammatory diseases. Eur J Med Res. 3(12) 539-545. Kalemba D, Kunicka A.2003. Antibacterial and antifungal properties of essential oils.Curr Med Chem. 2003 May;10(10):813-29. Review. Kemper F, 2001. Pharmacological and toxicological aspects of essential oils. Int. Symp. Integrated Arom. Med. Franchomme P, ed. 107-112. Kennedy DO, et al. 2011. Monoterpenoid extract of sage (Salvia lavandulaefolia) with cholinesterase inhibiting properties improves cognitive performance and mood in healthy adults.J Psychopharmacol. 2025(8):1088-100. Kim HM, et al. 1999. Lavender oil inhibits immediate-type allergic reaction in mice and rats. J Pharm Pharmacol. 51(2) 221-226. Kline R, Kline J, Di Palma J, et al. 2001. Enteric coated pH dependent peppermint oil capsules for the treatment of irritable bowel syndrome in children. Journal of Pediatrics. 138:125-128. Kozlowski G, 2000. Use of clary sage and geranium on menopausal symptoms. Hunter, NY: R J Buckle Associates. Kucera L, Herrmann E, 1967. Antiviral substances in plants of the mint family. (Labiatae) Tannin of Melissa officinalis. Proceedings from the Society for Experimental Biology and Medicine. 124(3) 865-869. Lachowicz KJ, et al. 1998. The synergistic preservative effects of the essential oils of sweet basil (Ocimum basilicum L.) against acid-tolerant food microflora. Lett Appl Microbiol. 26(3) 209-214. Lahlou M, Berrada R, Agoumi A, et al. 2000. The potential effectiveness of essential oils in the control of human head lice in Morocco. International Journal of Aromatherapy. 10(3/4) 108-123. Larrondo J, Agut M, Calvo-Torres M, 1995. Antimicrobial ativity of essences from labiates. Microbios. 82:171-172. Larrondo J, Calvo M, 1991. Effecto of essential oils on Candida albicans: A scanning electron microscope study. Biomedical Letters. 46(184) 269-272. Leicester R, Hunt R, 1982. 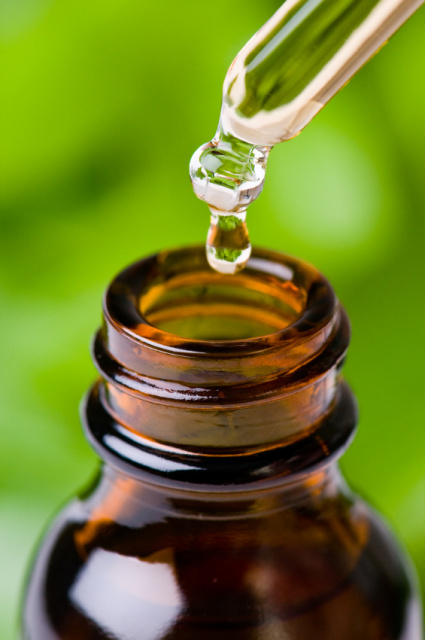 Peppermint oil to reduce colonic spasm during endoscopy. Lancet. 2(8305) 989-990. Lima DK, et al. 2012. Evaluation of the antinociceptive, anti-inflammatory and gastric antiulcer activities of the essential oil from Piper aleyreanum C.DC in rodents. J Ethnopharmacol.142(1):274-82. Lis-Balchin M, 1997. A preliminary study of the effect of essential oils on skeletal and smooth muscle in vitro. Journal of Ethnopharmacology. 58(3) 183-187. Lockhart N, 2000. Inhalation of frankincense and its affect on asthmatics. Unpublished dissertation. Hunter, NY: R J Buckle Associates. Loizzo MR et al. 2008 Phytochemical analysis and in vitro antiviral activities of the essential oils of seven Lebanon species. Chem Biodivers. 2008 Mar;5(3):461-70. doi: 10.1002/cbdv.200890045. L M Lopes C, et al. 2011. Sedative, anxiolytic and antidepressant activities of Citrus limon (Burn) essential oil in mice.Pharmazie;66(8):623-7. Maruzella J, Percival H, 1958. Antimicrobial activity of perfume oils. Journal of the American Pharmaceutical Association. XLVII, 471-476. Maruzella J, Sicurella N, 1960. Antibacterial activity of essential oil vapors. Journal of the American Pharmaceutical Association (Scientific Edition). 49(11) 693-695. Michie, C A, et al. 1991. Frankincense and myrrh as remedies in children. J R Soc Med. 84(10) 602-605. Montrain B, 1998. Aromatherapy in the treatment of tinnitus. Int. Symp. Integrated Arom. Med. Franchomme P, ed. 85-87. Myers H, 1927. An unappreciated fungicidal action of certain volatile oils. Journal of the American Medical Association. 1834-1836. Nenoff P, Haustein U, Brndt W, 1996. Antifungal activity of Melaleuca alternifolia (tea tree oil) against pathogenic fungi in vitro. Skin Pharmacology and Applied Skin Physiology. 9:388-394. Nicole M, 1998. Fibromyalgia and CFS: a real hope for a cure. Int. Symp. Integrated Arom. Med. Franchomme P, ed. 89-100. Panizzi L, et al. 1993. Composition and antimicrobial properties of essential oils of four Mediterranean Lamiaceae. J Ethnopharmacol. 39(3) 167-170. Pattnaik S, Subramanyam V, Bapaji M, et al. 1997. Antibacterial and antifungal activity of aromatic constituents of essential oils. Microbios. 89(358) 39-46. Pattnaik S, Subramanyam V, Kole C, 1996. Anitbacterial and antifungal activity of essential oils in vitro. Microbios. 86(349) 237-246. Pauli A, 2001. Specific selection of components of essential oils for the treatment of infectious diseases in children. Int. Symp. Integrated Arom. Med. Franchomme P, ed. 51-71. Peana A, Moretti M, Juliano C, 1999. Chemical compostition and antimicrobial action of the essential oils of Salvia desoliana and Salvia sclarea. Planta Medica. 65(8) 752-754. Pellecuer J, 1998. Anti-infectious properties of essential oils. Int. Symp. Integrated Arom. Med. Franchomme P, ed. 101-107. Pellecuer, J and Allegrini, J. “Place de l’essence de Satureia Montana L. dans l’arsenal therapeutique, » Plantes Medicinales et Phytotherapie 9, no. 2 (1975) : 99-106. Pénoël D, 2000. A Severe Case of Acne: Methodology and Findings. Int. Symp. Integrated Arom. Med. Franchomme P, ed. 57-64. Pitcher L, 2001. The Effects of Mentha piperita on chronic upper respiratory symptoms in adults. Unpublished dissertation. Hunter, N.Y.: R J Buckle Associates. Prasad CS, Shukla R, Kumar A, Dubey NK.2010. In vitro and in vivo antifungal activity of essential oils of Cymbopogon martini and Chenopodium ambrosioides and their synergism against dermatophytes.Mycoses; 1;53(2):123-9. Ramadan W, et al. 1996 Jun. Oil of bitter orange: a new topical antifungal agent. Int J Dermatol. 35(6) 448-449. Reddy AC, et al. 1994. Studies on anti-inflammatory activity of spice principles and dietary n-3 polyunsaturated fatty acids on carrageenan-induced inflammation in rats. Ann Nutr Metab. 38(6) 349-358. Rosato A, et al. 2009. In vitro synergic efficacy of the combination of Nystatin with the essential oils of Origanum vulgare and Pelargonium graveolens against some Candida species.Phytomedicine. (10):972-5. Epub 2009 Jul 18. Rossi T, Melegari M, Bianchi A, et al. 1988. Sedative, anti-inflammatory and anti-diuretic effects induced in rats by essential oils of varieties of Anthemisnobilis: a comparative study. Pharmacological Research Communications. 20(Suppl.) 71-74. Rusu A, 2000. Initial Results of a Brief Clinical Study of Acne and the Treatment of Athlete’s Food with Essential Oils. Int. Symp. Integrated Arom. Med. Franchomme P, ed. 65-66. Saad A, et al. 2010. Anticandidal activity of the essential oils of Thymus maroccanus and Thymus broussonetii and their synergism with amphotericin B and fluconazol. Phytomedicine;17(13):1057-60. Sadlon AE, Lamson DW. 2010. Immune-modifying and antimicrobial effects of Eucalyptus oil and simple inhalation devices.Altern Med Rev. 15(1):33-47. Saeed SA, et al. 1994. Antithrombotic activity of clove oil. JMPA J Pak Med Assoc. 44(5) 112-115. Sah SP, Mathela CS, Chopra K. 2010. Elucidation of possible mechanism of analgesic action of Valeriana wallichii DC chemotype (patchouli alcohol) in experimental animal models.Indian J Exp Biol.48(3):289-93. Sahi S, Shukla A, Bajaj A, et al. 1999. Broad spectrum antimycotic drug for the control of fungal infections in human beings. Cuttent Science. 76(6) 836-939. Schafer D, Schafer W, 1981. Pharmacological studies with an ointment containing menthol, camphene and essential oils for broncholytic and secretolytic effects. Arzneimittelforschung. 31(1) 82-86. Schnaubelt K, 1993. Aromatherapy Practitioner Reference Manual, Vol. 11. Tampa, FL: Atlantic Institute of Aromatherapy. Schnaubelt K, 1999. Medical Aromatherapy. Berkely, CA: Frog Ltd., 179. Shapiro S, et al. 1994. The antimicrobial activity of essential oils and essential oil components towards oral bacteria. Oral Microbiol Immunol. 9(4) 202-208. Schröder C, 2000. The Use of Essential Oils in Gingivodental Treatments. Int. Symp. Integrated Arom. Med. Franchomme P, ed. 67-72. Shahat AA, et al. 2011. Chemical composition, antimicrobial and antioxidant activities of essential oils from organically cultivated fennel cultivars.Molecules;16(2):1366-77. Shemesh A, 1991. Australian tea-tree: A natural antiseptic and fungicidal agent. Australian Journal of Pharmacy. 12:802-803. Shipradeep, 2012. Development of probiotic candidate in combination with essential oils from medicinal plant and their effect on enteric pathogens: a review.Gastroenterol Res Pract.;2012:457150. Sienkiewicz M, et al 2012. The antimicrobial activity of thyme essential oil against multidrug resistant clinical bacterial strains.Microb Drug Resist. 18(2):137-48. Siurein S A, 1997. Effects of essential oil on lipid peroxidation and lipid metabolism in patients with chronic bronchitis. Klin Med (Mosk). 75(10) 43-45. Spear B, 1999. Essential oils and their effectiveness in the relief of symptoms of asthma. Unpublished dissertation. Hunter, N.Y.: R J Buckle Associates. Srivastava KC, 1993. Antiplatelet principles from a food spice clove. Prostaglandins Leukot Essent Fatty Acids. 48(5) 363-372. Steflitsch W. 2009. [Wound care with essential oils after enucleation of a chronic abscess].Forsch Komplementmed.16(6):400-3. German. Syed T, Qureshi Z, Ali S, et al. 1999. Treatment if toenail onychomycosis with 2% butenafine and 5% Melaleuca alternifoila (tea tree in cream). Tropical Medicine & International Health. 4(4) 284-287. Sysoev NP, 1991. The effect of waxes from essential-oil plants on the dehydrogenase activity of the blood neutrophils in mucosal trauma of the mouth. Stomatologiia. 70(1) 12-13. Tantaoui-Elaraki A, et al. 1994. Inhibition of growth and aflatoxin production in Aspergillus parasiticus by essential oils of selected plant materials. J Environ Pathol Toxicol Oncol. 13(1) 67-72. Tate S, 1997. Peppermint oil: A treatment for postoperative nausea. Journal of Advanced Nursing. 26(3) 543-549. Taylor, Pamela L., Simple Ways of Healing (Moline ILL.: Mid West Botanicals, 2007). Tisserand R, 1988. Lavender beats benzodiazepines. International Journal of Aromatherapy. 1(1) 1-2. Tiwari BK, et al. 1966. Evaluation of insecticidal, fumigant and repellant properties of lemongrass oil. Indian J Exp Biol. 4(2) 128-129. Tong M, Altman P, Barnetson R. 1992. Tea tree oil in the treatment of Tinea pedis. Australasian Journal of Dermatology. 33(3) 145-149. Tovey ER, et al. 1997. A simple washing procedure with eucalyptus oil for controlling house dust mites and their allergens in clothing and bedding. J Allergy Clin Immunol. 100(4) 464-466. Tubéry P, 1998. Allergies and auto-immune diseases: treatment using plant products. Int. Symp. Integrated Arom. Med. Franchomme P, ed. 133-137. Van Vuuren SF, Suliman S, Viljoen AM 2009. The antimicrobial activity of four commercial essential oils in combination with conventional antimicrobials.Lett Appl Microbiol. 2009 Apr;48(4):440-6. Vericel M, 2001. Clinical results in ENT and respiratory pathology in children under aromatherapy. Int. Symp. Integrated Arom. Med. Franchomme P, ed. 73-79. Vilaseca A, 2000. Natural Insect Repellants and Insecticides from the Aromatic Plant Species of Bolivian Flora. Int. Symp. Integrated Arom. Med. Franchomme P, ed. 83-88. Viollon C, Chaumont J. 1994. Antifungal properties of essential oil components against Cryptococcus neoformans. Mycopathologia. 128(3) 151-153. Wagner J, et al. 1998. Beyond benzodiazepines: alternative pharmacologic agents for the treatment of insomnia. Ann Pharmacother. 32(6) 680-691. Wan J, et al. 1998. The effect of essential oils of basil on the growth of Aeromonal hydrophila and Pseudomonas fluorescens. J Appl Microbiol. 84(2) 152-158. Warnke PH, et al. 2009. The battle against multi-resistant strains: Renaissance of antimicrobial essential oils as a promising force to fight hospital-acquired infections.J Craniomaxillofac Surg;37(7):392-7. West B, Brockman S, 1994. The calming power of aromatherapy. Journal of Dementia Care. March/April, 20-22. Weyers W, et al. 1989. Skin absorption of volatile oils. Pharmacokinetics. Pharm Unserer Zeit. 18(3) 82-86. Woelk H, Schläfke S. 2010. A multi-center, double-blind, randomised study of the Lavender oil preparation Silexan in comparison to Lorazepam for generalized anxiety disorder.Phytomedicine. 17(2):94-9. Woolfson A, Hewitt D, 1992. Intensive aromacare. International Journal of Aromatherapy. 4(2) 12-14. Worwood V, 2000. Aromatherapy for the Healthy Child. Navato, CA: New World Library. Yamada K, Mimaki Y, Sashida Y, et al. 1994. Anticonvulsant effects of inhaling lavender oil vapor. Biological Pharmaceutical Bulletin. 17(2) 359-360. Youdim KA, Deans SG, et al. 1999 Apr 19. Beneficial effects of thyme oil on age-related changes in the phospholipids C20 and C22 polyunsaturated fatty acid composition of various rat tissues. Biochim Biosphys Acta. 1438(1) 140-146. Youdim KA, Deans SG, 1999 Sep 8. Dietary supplementation of thyme (Thymus vulgaris L.) essential oil during the lifetime of the rat: its effects on the antioxidant status in liver, kidney and heart tissues. Mech Aging Dev. 109(3) 163-175. Youdim KA, et al. 2000 Jan. Effect of thyme oil and thymol dietary supplementation on the antioxidant status and fatty acid composition of the aging rat brain. Br J Nutr. 83(1) 87-93. Yousef R T, and G G, Tawil, 1980. Antimicrobial activity of volatile oils. Pharmazie 35(11) 798-801. Zakarya D, Fkih-Tetouani S, Hajji F, 1993. Antimicrobial activity of twenty-one Eucalyptus essential oils. Fitoterapia. 64:319-331. Zanker KS, et al. 1980. Evaluation of surfactant-like effects of commonly used remedies for colds. Respiration. 39(3) 150-157.